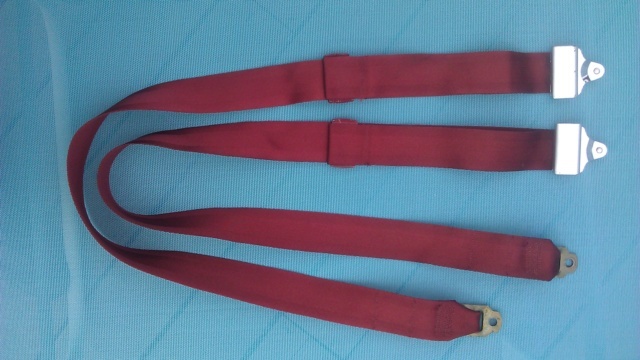 I rarely come across shoulder belts that still have their original vibrant coloring. Removed these from a '73 Grand Prix...but, the Dk Oxblood color is shared with Chevelle, Cutlass, Monte Carlo, etc. Didn't get the front retractors or inners as the torx bolts were rusted tight. If interested in those, maybe I can get the guys at the yard to lift the car and heat them with a torch from underneath to bust them loose. Anyway, thought maybe someone can use these. $45/pr shipped. » Point 65 Whiskey 18 Sea Kayak For Sale. Mint Condition.